aaah! 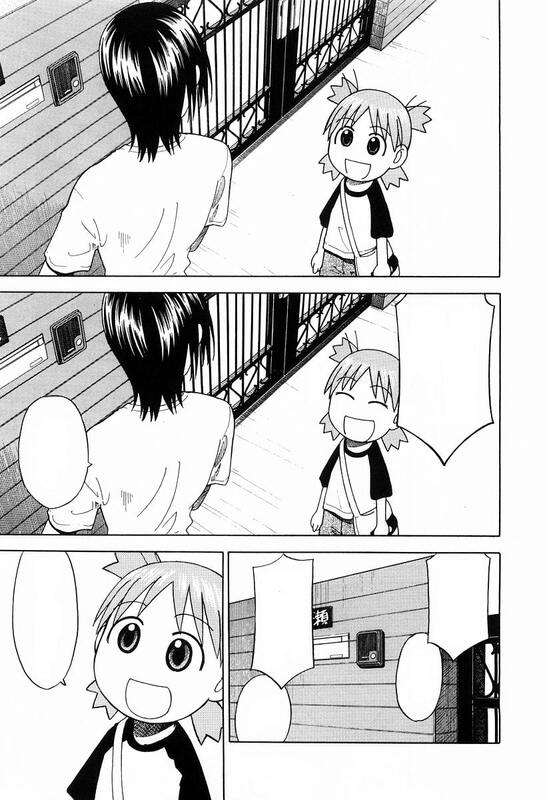 i forgot about it! 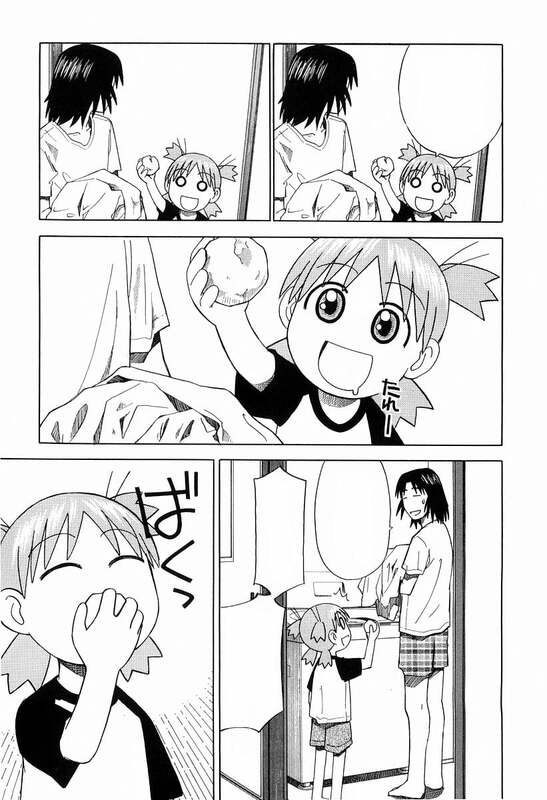 yotsuba was in the middle of watching tv! 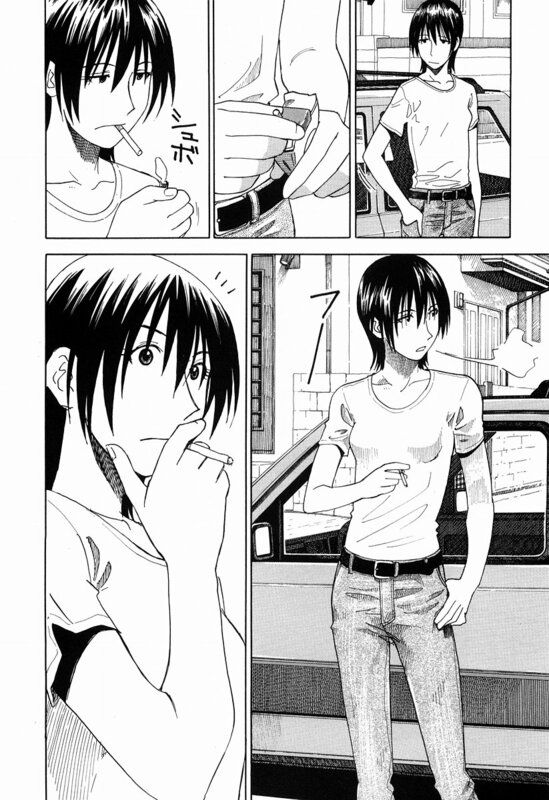 i got this from asagi yes-terday! that's neat. did you say thanks like you're supposed to? Ah! i thought i'd bring this home to give to daddy! h e r e !! 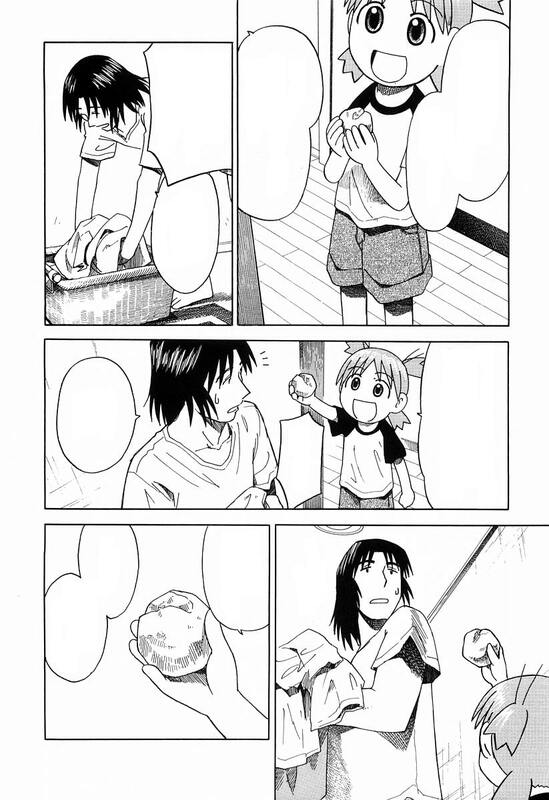 ...i don't even know what it is... a donut? 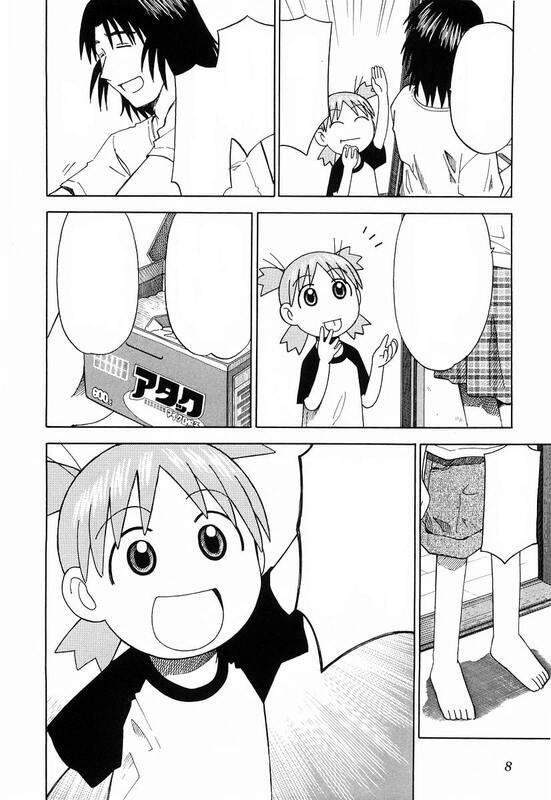 if daddy doesn't like it, should yotsuba eat it for you? got it!! leave it to me! o o o k a y ! is it good? doesn't taste funny? got it! 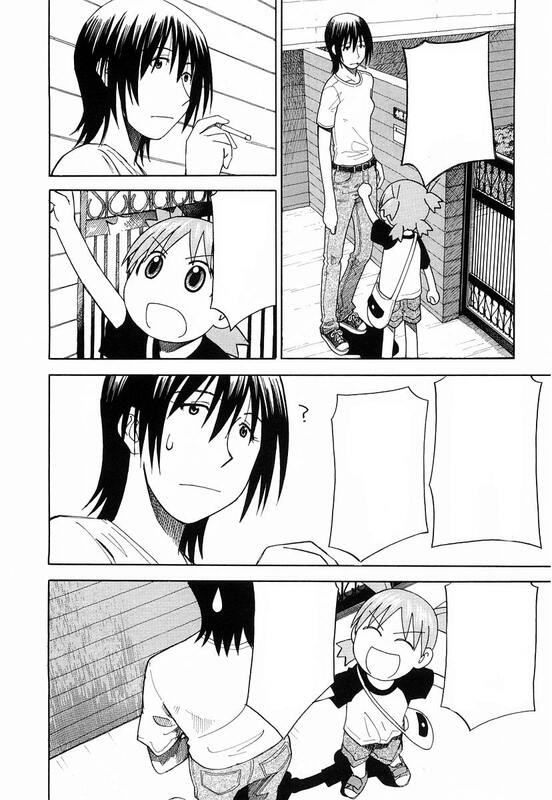 that's daddy's obsession, right? 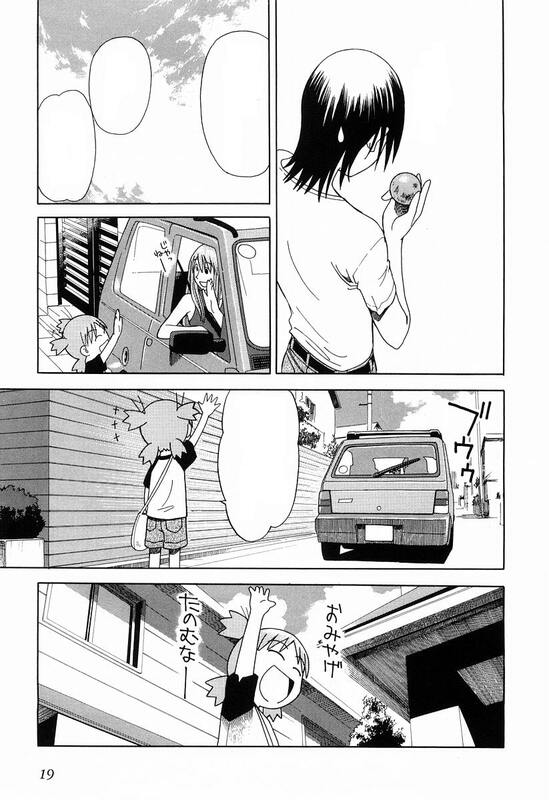 yotsuba wanna give asagi a souvenir now too! 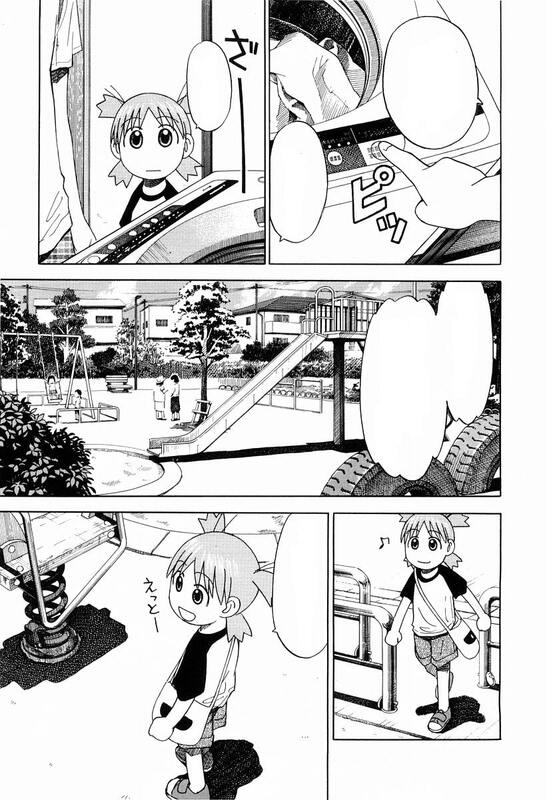 i'll go to the park! okaaay! 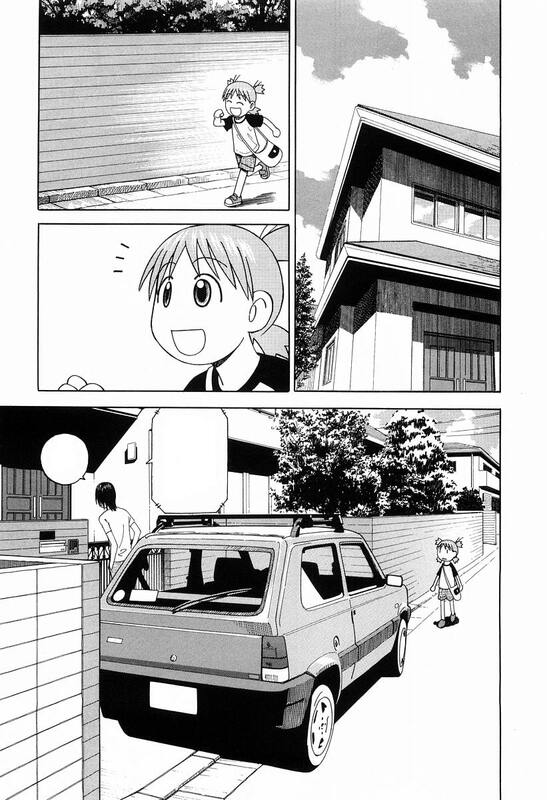 i'll be out in a minute! do you need some-one at this house!? 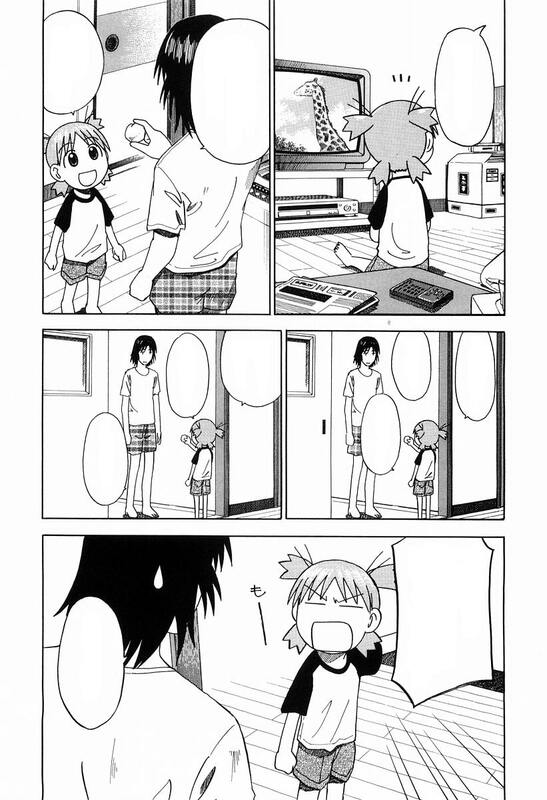 yotsuba wants to see asagi too! 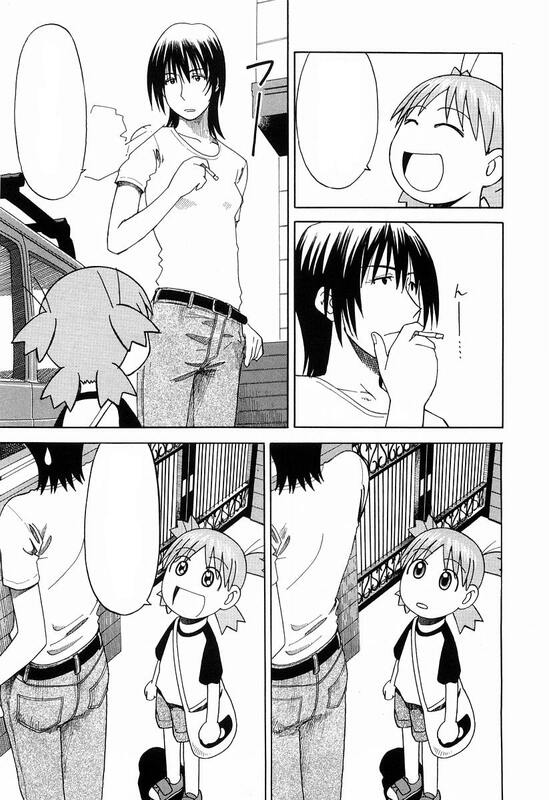 daddy said smoking is bad! you shouldn't do it! 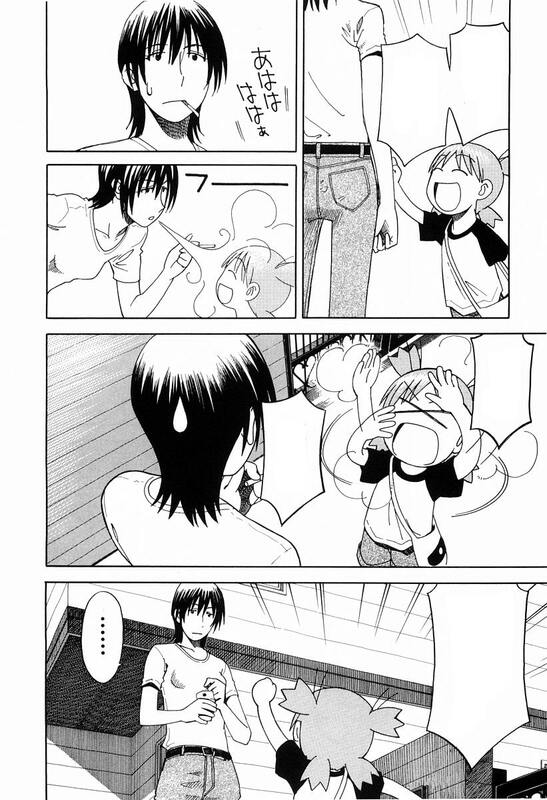 but daddy said he used to smoke too! daddy used to be a bad guy too! are you a bad guy now? c o o o o l ! p f w a a h ! 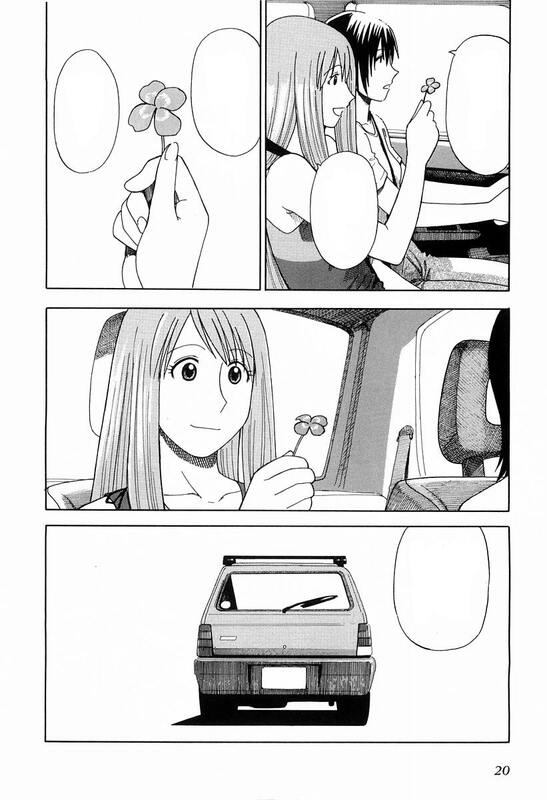 asagi gave me a souvenir yesterday! 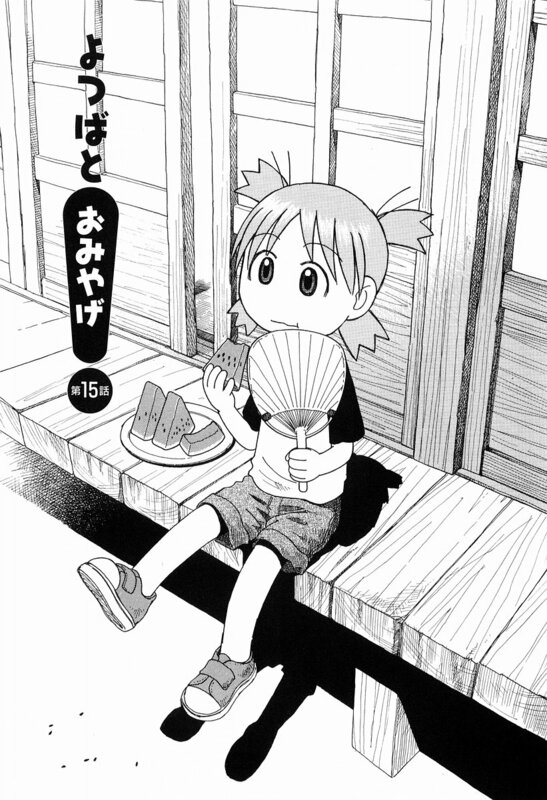 today is yotsuba's turn to give you one! 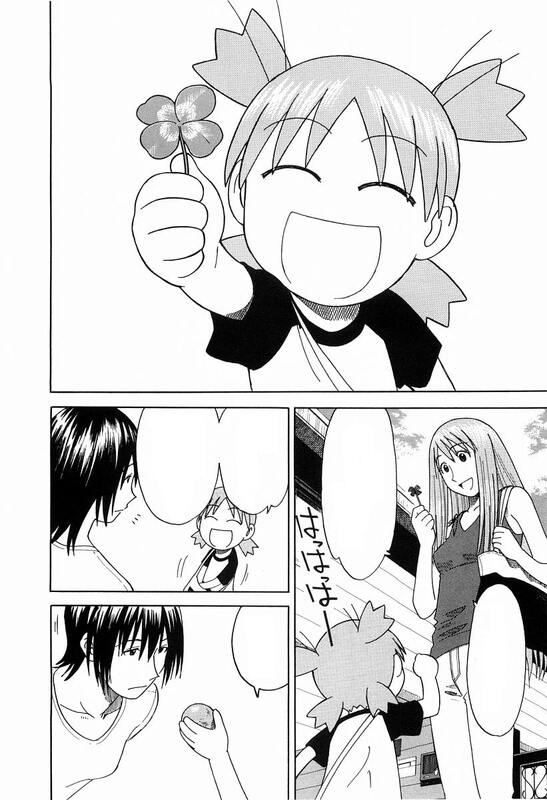 waaaah, it's a four-leaf clover! 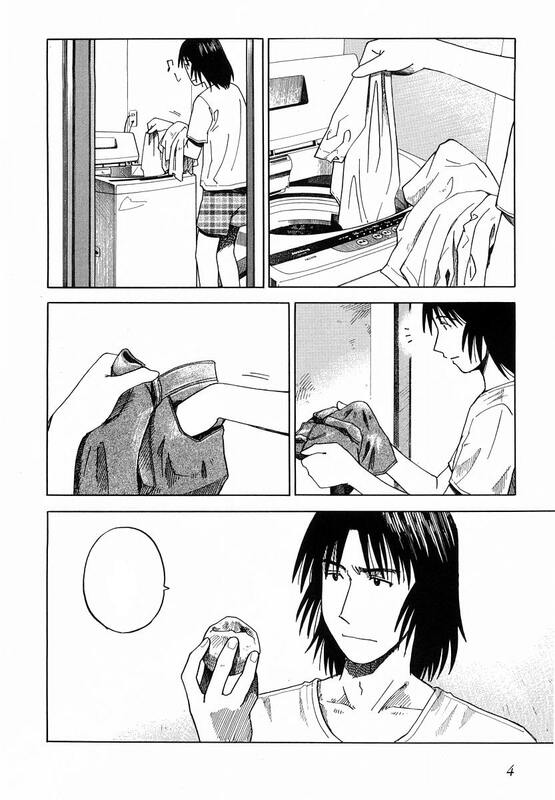 here's something for this nee-chan too!